Without getting overly involved, I’d like to share with you a thought or two about the recent events in Israel and its effects on the Jewish world. A Rabbi once told me one of the great benefits Jews have gained since the establishment of the State of Israel is the preservation of the Jewish identity amongst the Jews in the Diaspora. 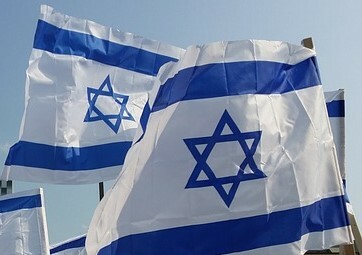 They may have no synagogue, no connection to Shabbos or the Jewish holidays, their name might not even be Jewish, but they know they’ve got a country. Because of that their identity remains intact. And this could lead them somewhere. That is significant. I heard this idea more than 15 years ago. The Pew Report might suggest that today there’s Jewish indifference even with a state. Times have changed. The world media has succeeded in making Israel’s survival a controversial topic. And anybody who follows Israeli politics knows one thing for sure; the political climate in Israel is unstable. The last election was only 2 years ago! Yet, I’ve met many Jews who, somehow, find politics to be the point where they best connect with their Jewish identity. To that I raise an eyebrow. I’m not writing today with any sources in mind, just a reality that I perceive. I see people whose Judaism is “rooted” in Israeli politics (I’m not going to get involved with sports at this time). And as a result, their commitment to Torah observance is as fickle as the government they live in. Here today, gone tomorrow. Furthermore, their association with whatever political party usually only brings them to despise authentic Torah Judaism. And from their point of view, I see their point of view. I do think the political arena has a value. It could be used to uphold Torah values. But it should never be one’s spiritual bedrock. If anything, Israel’s star role in the political theatre should be a catalyst, a corridor of sorts leading towards more meaningful life as a Jew. Just stop and look, the world is very much concerned, one way or another, with what goes on in this tiny little country about the size of New Jersey. Being a Jew matters! But once you realize that, then what? More politics? What about the Torah? That’s something you can build a real foundation with. That’s where one grows and comes to understand what Jewish values really are. Then they can then be applied to the world around him. What’s right and what’s wrong? That’s when you start realizing your true Jewish identity. Politics might be a good place for beginners, to catch people’s interest, but would anybody claim that’s where it ends? As usual, I’m writing only to put such questions on the table. May we all merit to see Malchus ben Dovid and true Jewish leadership at the throne speedily in our days. Amein, good Shabbos, and please leave a comment below.